Visit the Saints' official website for your daily fix of team information. The Saints shipped a slew of draft picks in order to snag pass rusher Marcus Davenport with the No. 14 pick. Saints head coach Sean Payton has no regrets about dealing their 2019 first-round selection. Saints head coach Sean Payton had plenty to say about the current trend of finding the hottest NFL head coach, and looks forward to facing the teams he believes have made a mistake in following that movement. Mark Ingram elected to sign with the Ravens this offseason to a three-year deal. The departure of the longtime Saints RB left Sean Payton frustrated. Saints coach Sean Payton believes progress has been made, but, "I just think we need to make more strides in this area relative to not just replay, but relative to what we're saying about the officials." New Orleans Saints head coach Sean Payton explains why he doesn't like the current format of how the all-star referee crews are created for the postseason. The New Orleans Saints are expected to sign tight end Jared Cook, NFL Netowork's Ian Rapoport and Tom Pelissero report. Cook was ranked No. 21 on Around The NFL's top 101 free agents. After the abrupt retirement of Max Unger, the New Orleans Saints signed Nick Easton to fill the role of starting center. The 26-year-old signed a four-year deal after missing the entire 2018 season due to injury. The New Orleans Saints have cleared up cap space for the 2019 season after restructuring the contract of QB Drew Brees, according to NFL Network's Tom Pelissero. The Miami Dolphins hosted quarterback Teddy Bridgewater on a free-agent visit Wednesday night, NFL Network Insider Ian Rapoport reported. Wil Lutz had a career year, and the Saints are rewarding that with a long-term contract. New Orleans and Lutz have agreed to a five-year contract, NFL Network Insider Ian Rapoport reports. The Saints sign former Vikings running back Latavius Murray, NFL Network's Tom Pelissero reported, per a source. Mark Ingram is expected to play elsewhere in 2019. Teddy Bridgewater is expected to re-sign with the New Orleans Saints despite a bigger deal on the table from the Miami Dolphins, NFL Network's Jane Slater reported. How versatile is quarterback prospect Trace McSorley? New Orleans Saints coach Sean Payton thinks he could be a Julian Edelman-type of player, according to Peter King. Saints coach Sean Payton was encouraged by the competition committee discussions before formal discussions on proposals at the annual league meeting in late March. 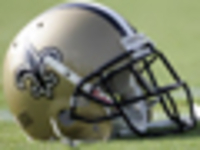 Another veteran pass rusher appears on track to enter unrestricted free agency when the league's new calendar year begins on March 13: Saints defensive end Alex Okafor. 4/8 P.J. Williams (CB) Unrestricted Free Agent Signing (unrestricted free agent signing). 3/27 Jared Cook (TE) Unrestricted Free Agent Signing (unrestricted free agent signing). 3/25 Marcus Sherels (DB) Unrestricted Free Agent Signing (unrestricted free agent signing). 3/21 Teddy Bridgewater (QB) Unrestricted Free Agent Signing (unrestricted free agent signing).